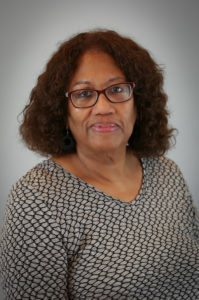 Raye Rawls, a senior public service faculty member in the J.W. Fanning Institute for Leadership Development at UGA, received the 2018 Chief Justice Harold G. Clarke Award from the Georgia Supreme Court Commission on Dispute Resolution and the Dispute Resolution Section of the State Bar of Georgia in recognition of her outstanding contributions to the field of alternative dispute resolution in Georgia. Rawls has worked in the field of dispute resolution since receiving mediation training in 1982, providing ADR neutral and training services to numerous court programs and private organizations. She is a long-standing approved trainer through the Georgia Office of Dispute Resolution and has served as a mediator, arbitrator and facilitator in thousands of cases throughout the U.S. and internationally. Rawls is the fifth recipient of the award, which was first presented in 2013. The Commission and the Dispute Resolution Section created the award in 2013 to honor the late Supreme Court Chief Justice Harold G. Clarke. Rawls, a member of the Fanning Institute faculty since 2004, provides training and services in alternative dispute resolution processes such as mediation, arbitration and early neutral evaluation to communities, individuals and organizations.